Cape Coat, le sigh. – Would I Wear it in Paris? Yesterday was the last day of the cape-a-long and was my cape coat finished by then? No it was not! I blame the weather. It has been too hot and muggy in my sewing room for me to be in there for long. The cape coat is pretty detailed to begin with and then I had to add even more details. Like some Turn of the Cloth fiddly stuff. Turn of cloth is when the facing of a collar or cuff or, say, a cape on a cape coat, is smaller than the collar or cuff or cape itself. And, of course, I had to draft both the collar and the cape part myself which means two or three mockups of those elements, lots of pinning and trying on and so on. Then the pockets! The pattern I adapted came with a perfectly good pocket pattern, but I had to fiddle with it. The velvet is fairly thick so I wanted to use something lighter for the pocket bag. I decided on muslin. But the muslin is white and I feared it would show. Even a tiny amount of it would really show up against the dark brown. 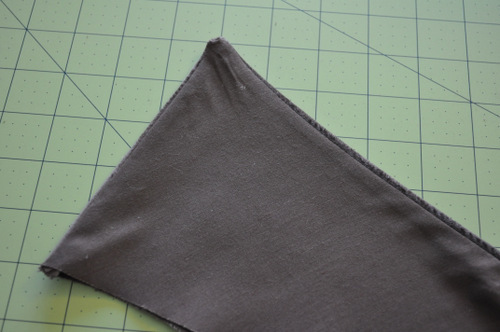 So I cut the side edge of the pocket a couple of inches in so that the pocket has two pieces. Fiddly, but it worked out nicely. 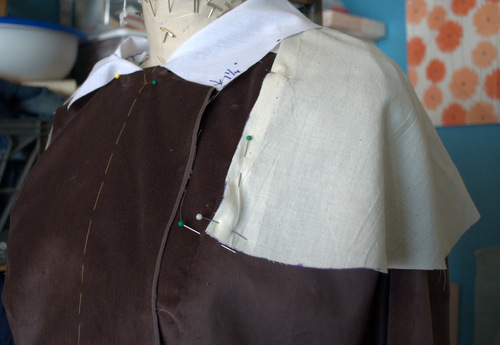 I based my coat off a Burda pattern and we all know what that means, right? That’s right, dear friends, NO SEAM ALLOWANCES. I kinda like this feature actually. Sick and wrong, I know, but there it is. 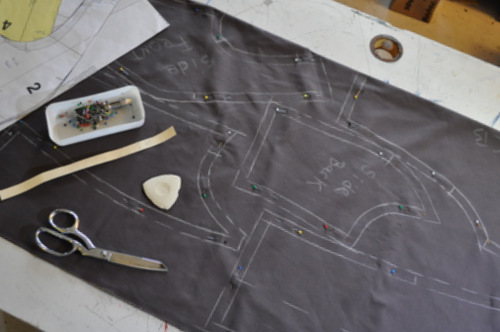 I lay the pattern pieces on the wrong side of the fabric, trace around them with chalk, and add the seam allowances using a 5/8″ strip of heavy card. Then again with the lining. Oh! AND! 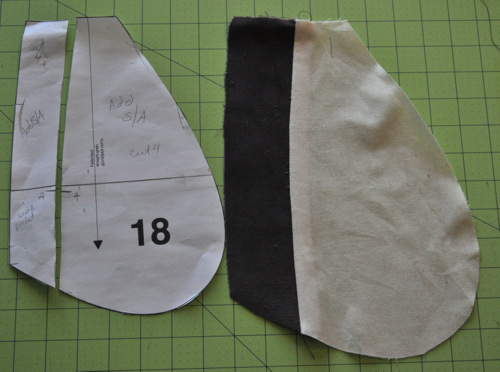 to deal with the lining and facings, I had to trace off the pattern pieces from the the regular pattern pieces. Burda, you know. There wasn’t a line for the back facing so I had to make that up. My proudest moment? Notches. I remembered to mark notches. So this is where I am. the lining is all sewed up. 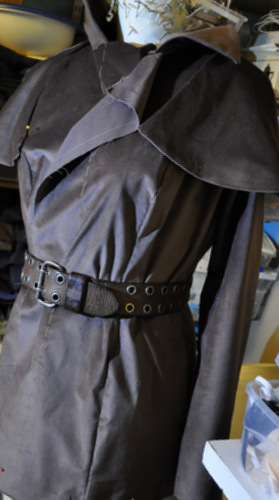 The body of the coat is all sewed up. The cape and the collar are basted on, though I need to rip and re-do a couple of things. The sleeves are together and the sleeve linings are basted on. Once I get the lining of the body in, I think it will be just finishing stuff. I may not do a vintage pattern for September’s challenge, but I will definitely keep my friends over at The Monthly Stitch up to date on the Cape Coat (from hell).